Aerpro's bluetooth and wireless kits enable you to safely use your phone whilst driving, or stream music from your device, to your car stereo. 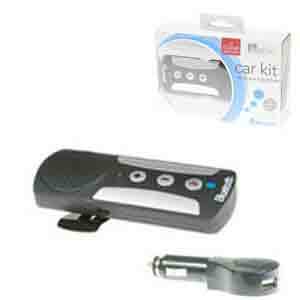 The Aerpro ABT360 is a Universal Bluetooth handsfree kit to suit all mobile phones with Bluetooth. Installation is simple with the visor clip design. The ABT360 will store memory of the paired mobile phone making it quick and convenient to use. Built in echo cancellation and noise suppressor the ABT360 will minimise background interference and maximise sound quality. Cigarette lighter adaptor for charging bluetooth kit. Simon Lai reviews a universal handsfree unit from Aerpro.